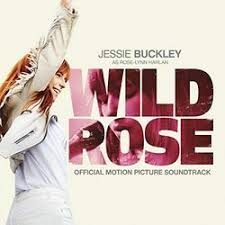 A British film that doesn’t just feature country music, but is soaked in it, ‘Wild Rose’ is an unalloyed joy, a celebration of the power of three chords and the truth, as tattooed straight down our heroine Rose-Lynn’s arm. Hollywood has made a few of these movies, which tend to come with big hats and bro-country backing. This is very different in approach; every time any character mentions ‘country and western’ they are shouted down with “it’s just country,” but it’s not even just that as most of the music featured sits very nicely with an Americana crowd. No matter what Rose-Lynn loses in life – metaphorically or literally – she never is without her headphones, which are used as a device for us to hear what she does. So we hear glimpses of Bonnie Raitt’s version of ‘Angel from Montgomery’, Chris Stapleton’s ‘Outlaw State of Mind,’ Emmylou Harris’ ‘Boulder to Birmingham’. Interspersed is Rose-Lynn’s own versions of these tracks and more, out loud and through her phones as she practises the repertoire she has been delivering since she was 14. When it’s not songs, the soundtrack is flecked with plangent pedal steel, and two different players are credited on the soundtrack. Band leader/ accompanist is Neill McColl (The Bible), and the stalwarts of the Transatlantic Sessions, Aly Bain and Phil Cunningham, are prominent in the backing band. The plot is the basic ‘po’girl has a dream, eventually gets her break, blows it. Or does she?’ It’s directed straight, without any narrative or filmic pretention. The script is by Nicole Taylor, who recently picked up a BAFTA for ‘3 Girls,’ and she explained it as a love story to home city of Glasgow, whilst describing her love of country music as “a suppository for the emotionally constipated.” Whilst it has a working class setup, Taylor very much avoids polemic; indeed it is diametrically opposite to a Ken Loach film. Everyone can get a job if they are willing to work hard, a roof is always provided. Even the middle class character makes it clear she started off in a tenement and ground her way up. It’s only if you step away from the treadmill that society will punish you. Rose-Lynn emerges from prison in the opening scene, and Taylor makes sure we have fallen in love with her and her dream before she eventually reveals what she did to get put away. She also has two small children, and again, Taylor only exposes just how young she was when first pregnant late on. The men in this film are all feckless, absent or silent (none of her all-male backing band ever say a word), and it definitely passes The Bechdel Test. The only positive male role model is Bob Harris, who delightfully plays himself with even more whisper than usual. He inspires her, and lets her watch a session by ‘a very talented act’ – an uncredited Ashley McBride. Later in the very well shot Nashville scenes, Rose-Lynn walks into a bar, where, out of focus, (an again unacknowledged) Kacey Musgraves and her band are playing. The film, though, belongs to the astonishing Jessie Buckley as Rose-Lynn. Whilst Julie Walters gives sterling support as her stoic long-suffering mother, Buckley owns this movie. She is in on screen for virtually the entire film and glows with passion and talent. Whilst many films of this type might hire an actor and get them to mime (Rami Malek) or use a singer who cannot act (Mariah Carey et al), Buckley masters both. She started off in a Lloyd-Webber audition tv show, coming runner-up, but then went to drama school. So she absolutely nails the emotions and travails Rose-Lynn suffers. Her singing voice is not just perfect, but excels to a level where if she decided to just be an Americana/country act she would storm to the top. The character in her voice and charisma blows away all the anaemia in many of the successful UK acts on today’s scene. She is a genuine star. There are numerous clips on YouTube of her just simply singing on promo tours backed by McColl which astonish with her authenticity. Also, why did it take a quarter of a century before someone realised Primal Scream’s ‘Country Girl’ could be sung by a country girl?